Amongst a number of exciting innovations, we were delighted that our Model Portfolio Service (MPS) won the “Best New Entrant” at Investment Week’s Sustainable & ESG Awards 2018. We launched the MPS to make some of our investment philosophy and process available to financial advisors, so that they can support the movement into sustainable and impact investing within their client base. 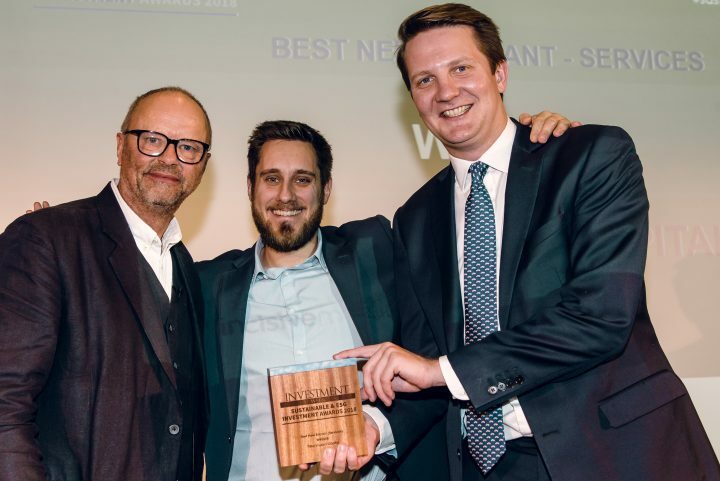 Harry and Yann were thrilled to accept the award from Robert Llewellyn, himself a passionate advocate of resource efficiency and sustainability. It closes off a fantastic year for Tribe in terms of external recognition. An enormous thank you to all the judges and voters for their continued support and encouragement.